Have a great day padre! I am praying for God to heal your cancer completely so you can continue to do His work with the Indian children. What Jesus did nearly 2,000 years ago, He can absolutely do today! Dear Father Steve, I sure admire your spirit. God bless you. I am keeping you in my prayers. I have just sent my annual donation and wanted you to know that you will be in our prayers. My wife is recovering from cancer (2nd time) and I know how scary and upsetting to the “normal routine” this can be. May God bless and watch over you. Beautiful Children..! These years pass so fast..and are SO important. How fortunate you all are..to have each other.! Yes, Where is that HANDSOME Picard..? He better make it into the next picture..! I know it’s difficult, Father Steve..but hold on tight..! And..our prayers hold on with you..! Don’t take any wooden nikkels..! I am praying for you – and also for the children. Have you heard of Kangen water? kangenwaterusa.com, and the Gerson diet? gerson.org. They will help fight the cancer. Blessings and healing! Jean-Luc, eh? Handsome fellow 🙂 My family, friends and I continue to pray for you, Father Steve. All will be well…much love to you from all of us here in middle Tennessee. I posted the letter with the prayer of healing next to my desk so I can pray for you faithfully to God each day. I have thought of you and your recent health challenge so often though I have never met you. 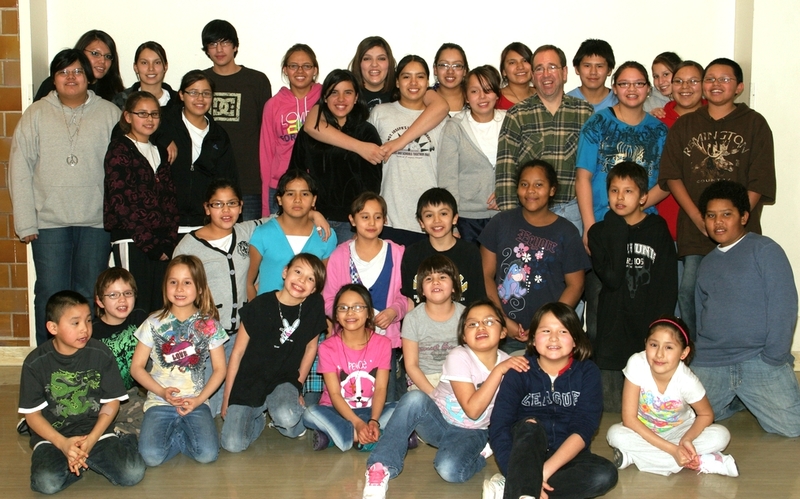 I am confident that God will heal you and bless you and the beautiful Lakota children to whom you minister each day. May you be given all the needed strength and patience that will see you through your treatments as you move towards perfect health. Fr. Steve, I continue to pray for you! May God make his face to shine upon you, and may His Spirit fill you with both healing and peace! at all times and I know God will do what is best for you we just have to trust. If he brings us to it he will lead us through it. You and the school are always in my prayers but you’re receiving extra prayers during this difficult time. I am a 2 1/2 year survivor from breast cancer and understand the trials of surgery, chemo and radiation. God gives us the grace and strength to fight the disease and to deal with the challenges the treatment gives us. Exercise, positive attitude, laughter and keeping life as normal as possible helps you to take control of the disease rather than letting it control you. Most important remember this is a short speed bump in your life and vert soon it will be behind you. Remember Jean-Luc never let anything defeat him!! God bless you and your kids.